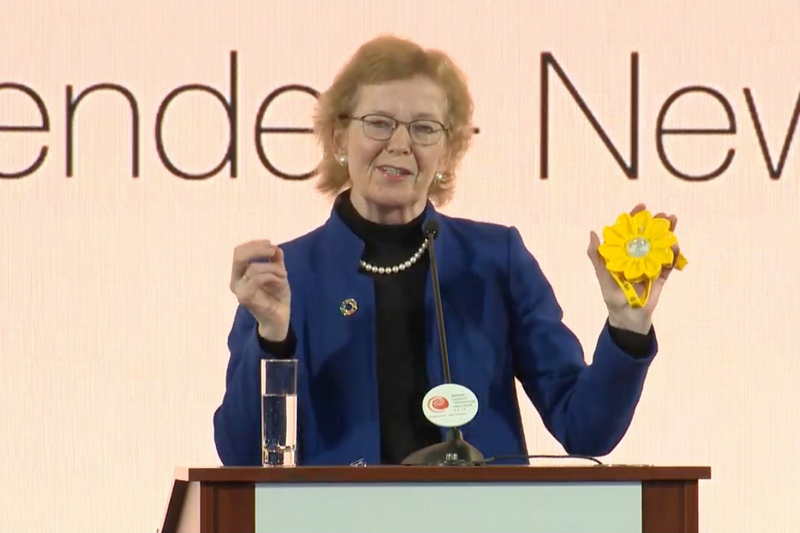 Mary Robinson speaking at the Energy Transition Dialogue in Berlin, April 2019. It is a pleasure and a privilege to be back here in Berlin for this Energy Transition Dialogue. Although it might surprise you to hear that my key message at this dialogue is: the time for talking is over! Its time for action. We are facing a climate crisis that poses an existential threat to all humanity. The evidence about the effects of climate change is incontrovertible, and the moral case for urgent action indisputable. And action to deliver a just transition, so that regions and communities previously reliant on fossil fuel production for jobs and broader economic and social structures are not abandoned, that workers’ rights and dignity are respected, and that new opportunities are provided through investment and education for current and future generations. I am conscious that the word “transition” has an especial resonance in Berlin in 2019. Thirty years ago, this city and this whole country was on the brink of momentous changes that became known as “Die Wende”, as mass popular protests in the German Democratic Republic forced what had been unthinkable for decades: the fall of the Berlin Wall, the collapse of the Communist regime and ultimately the unification of East and West Germany. Germans can be rightly proud of today’s thriving democratic culture and the leadership the country has played on international climate policy, and in welcoming hundreds of thousands of refugees and migrants in recent years. But it must also be acknowledged that the fruits of this transition were not always evenly distributed, leading in some cases to bitterness and alienation. In too many cases, short-term financial calculations drove investment policy while former industrial workers and state employees were left with few viable employment options in their home cities and regions. So as we meet the imperative to deliver an energy transition that leads to a zero-carbon, climate-resilient economy, we must learn from both the successes and the challenges of Germany’s recent past to make sure the model we choose is sustainable, just, inclusive and robust. In order to do this, we need to radically shift our assumptions and expectations about what drives economic and development policy, where the political consensus should lie and what responsibilities political and business leaders owe to their respective constituencies. A week ago I led a group of Elders to China, where we discussed the reality that some countries have been reneging or faltering on their Paris Climate Commitments. In that context, we urged China to consider showing more leadership and ambition, even though China is still in some ways a developing country. How much more do the Elders expect from a leading European country! That quote is from a speech he delivered in 1971 – nearly half a century ago. But his words still ring true today, at a time when our world and our climate are changing with disorienting speed. We need a climate justice movement - speaking up for people who have the least capacity to protect themselves, their families, their homes and their incomes from the impacts of climate change, and indeed climate action policies that are not grounded in human rights. Just think of the terrible devastation caused by Cyclone Idai in recent weeks in some of the poorest countries in Africa: Mozambique, Zimbabwe and Malawi. In this case, climate change is not only a destructive force in its own right, it also serves to amplify and aggravate existing inequalities as those with the least resources suffer the greatest hardships. Climate change respects no borders, and it affects all countries regardless of income level: as witnessed by the devastating floods across Germany in recent years, or the cyclones and hurricanes that have battered the coast of the United States. Now, thanks to the recent marches, strikes and protests by hundreds of thousands of schoolchildren, including here in Berlin, we have begun to understand the intergenerational injustice of climate change and the need to plan transition policy over a timespan to include many generations to follow, including those as yet unborn. The report last October by the Intergovernmental Panel on Climate Change on the steps needed to meet the target of keeping warming to 1.5°C should and must herald the planned end of the fossil fuel era. We have entered a new reality where fossil fuel companies have lost their legitimacy and social licence to operate. If governments are to retain their own legitimacy and trust among citizens, this means they must end all fossil fuel subsidies, in all forms, so coal and other hydrocarbons are kept in the ground and resources are invested instead in clean, renewable energy sources and green technologies. And these are hardly outrageous demands: for a country like Germany, it is merely a reminder to the government to live up to its own commitment as a G20 member to end all fossil fuel subsidies, a decade after the promise was first made. There are 83 billion tonnes of hard coal still in the ground in Germany. Of these 36 million tonnes are considered mineable, but their extremely deep and complicated geological location makes mining too costly to compete on the world market. It, therefore, makes neither economic nor environmental sense to persist in fossil fuel extraction; in every sense, it is a waste of resources. I know that a huge consultation exercise has been undertaken in this country in recent months as part of the “Coal Exit Commission”, and that an agreement has been reached to end coal-fired power generation by 2038. 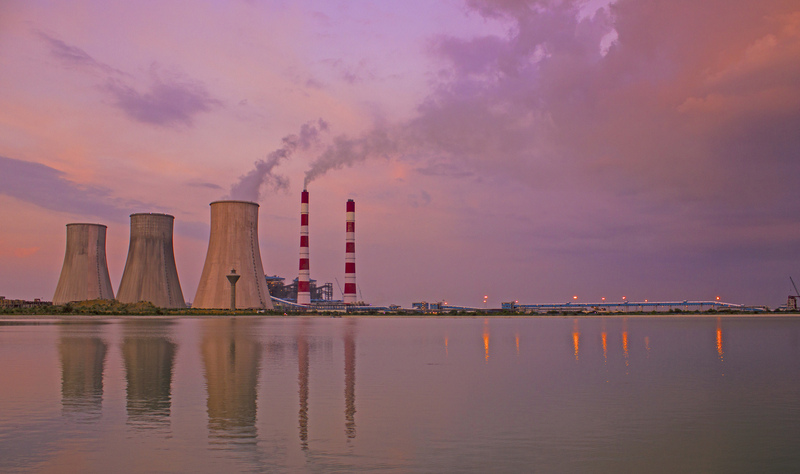 This report acknowledges that ending coal-fired power production around the globe is indispensable for effective climate action. And this needs to be retained as the key message by all stakeholders, from government and industry to NGOs, civil society, labour unions and policy experts. Germany has shown the world that high levels of renewable energy are affordable, reliable and manageable. The next step is a just transition out of coal for good, which can show other countries that such a process is economically, socially and politically viable. Analysis by the International Energy Agency and Climate Analytics shows that OECD countries need to be off coal by 2030. Germany, as the world’s fifth biggest user of coal and the biggest user of lignite, has a special responsibility to act. The recommendations of the Coal Exit Commission are a welcome first step, but I urge you all to show greater ambition and urgency, infused with a spirit of solidarity. This is no time for incremental steps, we need radical action that sends a signal to investors, energy companies and other governments that “business as usual” is not an option. Financial support to help a just transition for the affected communities in coal regions is only fair. But it would be a poor signal and a questionable use of public funds if Germany spends billions in “compensation” to power utilities which have spent too long resisting action on climate change, instead of to the people and their communities. I have seen in my own work with the B Team of Business Leaders, who have committed their companies to have Net Zero greenhouse gas emissions by 2050, that the private sector can be a positive force in helping achieve climate justice with just transition. But business leaders must also speak up for a regulatory environment that protects all human rights - one that holds them accountable for their actions as well. They must also do more to be transparent and accountable about their own activities, including their roles in partnerships to implement the Sustainable Development Goals. 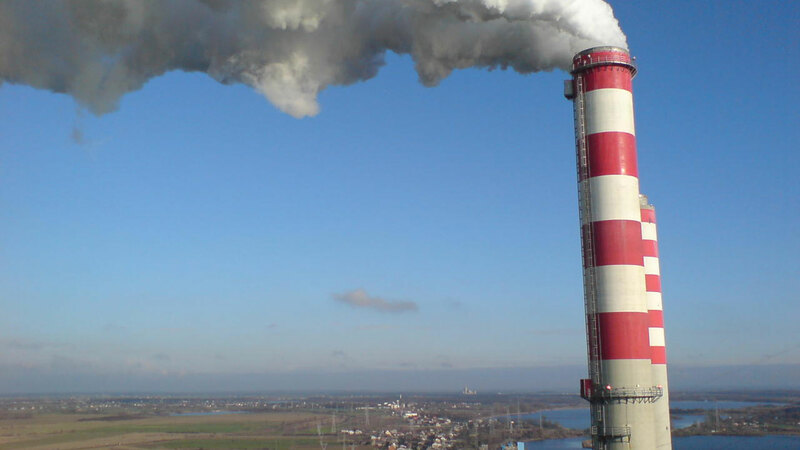 Germany and other developed countries need to accelerate their plans for a post-coal, carbon-neutral future, but they cannot simply insist that poorer countries refrain from using fossil fuels on account of climate change. Instead they must provide feasible alternatives. In the spirit of global solidarity and self-interest, all countries need to work together to enable an inclusive transition, one which prioritises the needs of those furthest behind, and ensures all people benefit from the technologies developed to pioneer sustainable development pathways. Indeed, developed countries should learn from initiatives like the Climate Vulnerable Forum, where small island states and other poor countries acutely at risk from rising temperatures and sea levels have shown that bold and inclusive leadership is possible. Just as critically, development banks and export finance initiatives from the rich, industrialised countries must immediately halt investment in fossil fuel projects abroad. Otherwise developing countries will understandably resent what they see as hypocrisy and even neo-colonial attitudes, with rich countries effectively exporting their carbon emissions and leaving those with fewer resources to count the cost in economic and environmental terms. It is incumbent on political and business leaders in all countries to develop effective, inclusive, multilateral policies to address this challenge. Sometimes it may be a useful advocacy tool to present these choices as a matter of sound investment or shrewd self-interest. But fundamentally it is a matter of human rights and justice. Earlier in my speech I quoted Willy Brandt, but I am also reminded of another remark from a century ago by someone on the more radical end of the German political spectrum: Rosa Luxemburg. She said that “freedom is always freedom for the one who thinks differently”. Her words are an inspiration and a challenge. Freedom means diversity, a relentless questioning, a refusal to accept orthodoxies and dogmas from any political movement. But freedom also means responsibility for all citizens to engage in the public sphere and democratic process, not withdraw into apathy or virtual echo-chambers of the like-minded. This means engaging with the fossil fuel companies and financial institutions, and trying to build a constructive dialogue while never compromising on the principles and the urgency of action. It means listening to the former coal and steel workers and their families in regions across Germany from Lusatia to the Ruhr, understanding their own perceptions and ensuring that economic and social transitions are people-centred, inclusive and designed with social justice in mind. The existential threat of climate change confronts us with our shared interdependence. I believe, as a granny listening and talking to school children, that there is an increasing awareness of our role as global citizens in the face of climate change and that the movement growing out of this is becoming an irresistible one. I look forward to stimulating discussions, to learning from you and to charting together a sustainable future for our planet that we can bequeath to our children and grandchildren and the generations yet to come.